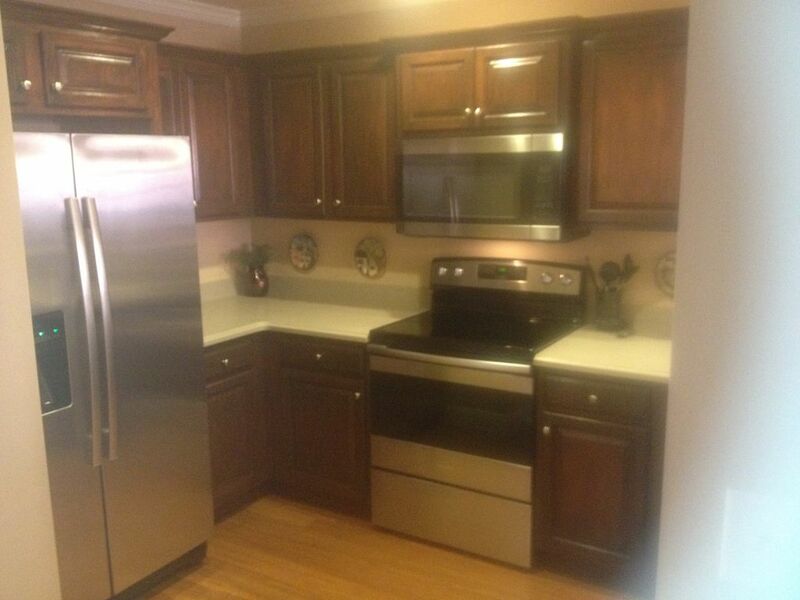 Cozy and comfortable with new hardwood floors and kitchen appliances. Newly renovated condo in downtown Helen. Close to the river, the trail to Unicoi, and just a block off main street and a stone's throw from Betty's Country Store. Two king bedroom - each with private bath, half bath on main level and queen fold-out bed. Washer and dryer, dishwasher, gas log fireplace. Screened porch with table, chairs and gas grill.